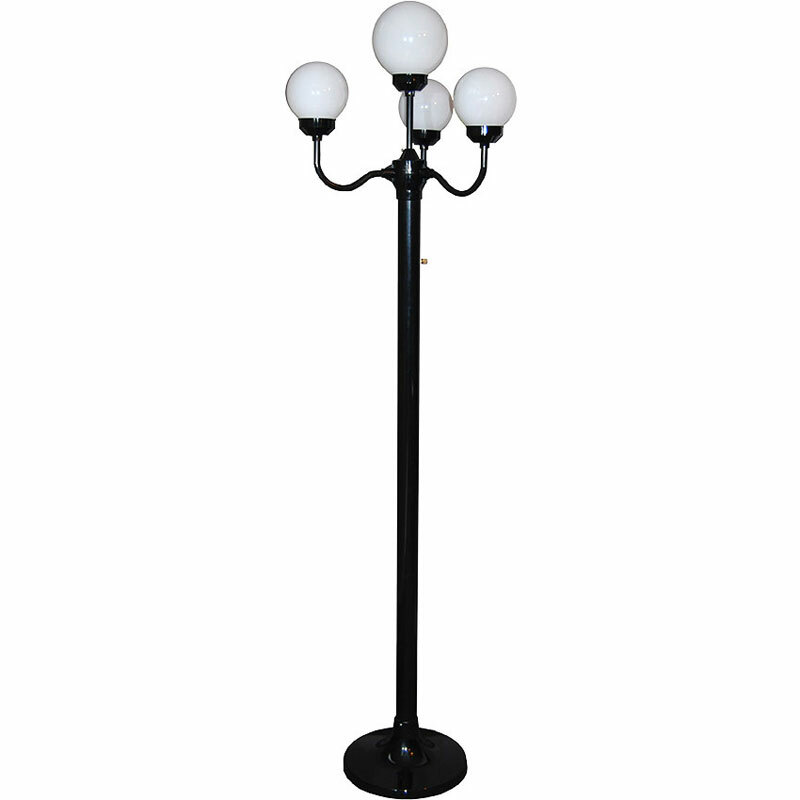 The four-head luminaire stands 6 ft. 4 in. high with full-range dimmer. Includes four 6 in. white globes. Uses four bulbs, 60 watt max.